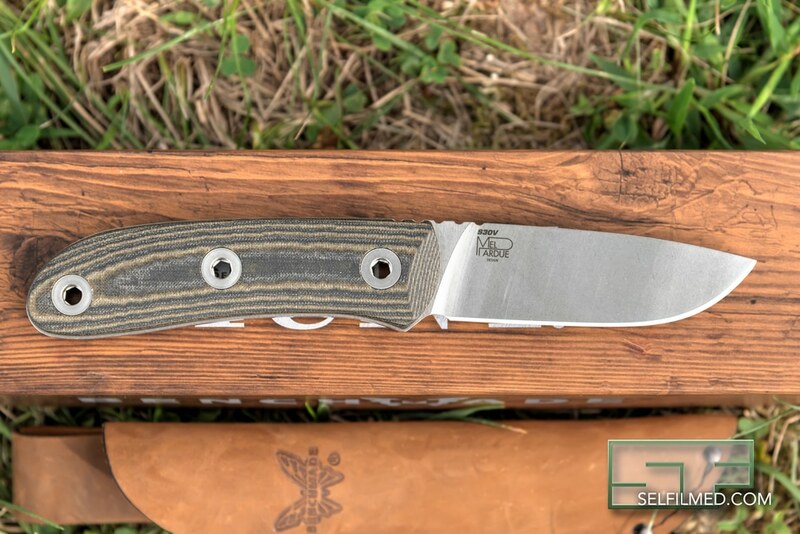 This spring at the 2018 ATA Show, Benchmade released the new 15400 Pardue Hunter. 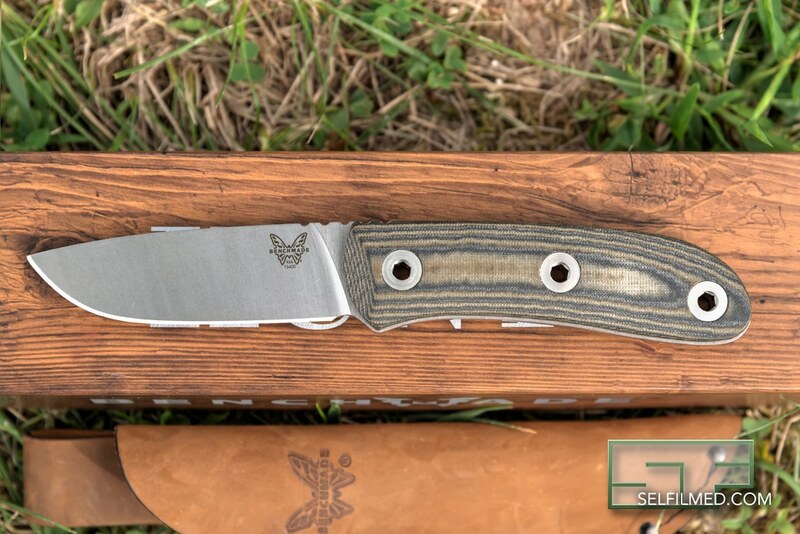 The 15400 Pardue Hunter is the first custom collaboration knife in the HUNT line of knives for Benchmade. Since you are reading this article, I’m fairly certain you’ve heard about the Benchmade brand of knives, and if you know anything about knives, you’ve certainly heard the name Mel Pardue. Put the two of those together and you have yourself the development of one heck of a bushcraft blade with a primary purpose of hunting in mind. The 15400 is an ergonomically pleasing fixed blade knife with a sub 3.5″ drop point style blade. Similar to most of the HUNT lineup (the 15200 Altitude being the exception), the 15400 Pardue Hunter features CPM-S30V blade steel that is guaranteed to last through the toughest of conditions. If you are interested in reading more about the benefits CPM-S30V blade steel offers over other types of blade materials, you can read more about it HERE. CliffsNotes version: the CPM-S30V blade steel will give you great durability, excellent corrosion resistance, and outstanding edge retention. All three are characteristics I look for when selecting a hunting knife I can depend on. The 15400 Pardue Hunter features Micarta handles that practically melt – in a good way – into your hands. 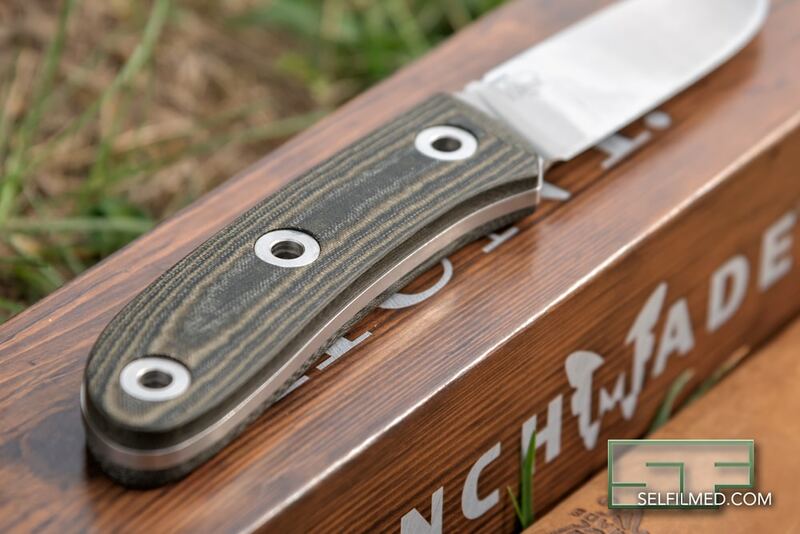 Micarta is similar to G10 in that it is a laminate type material, except that instead of being made of fiberglass and resin, the Micarta material is actually layers of cloth/linen/cotton that are soaked in a resin. The Micarta material is typically grippier than G10 when wet, but it also softer than G10 so therefore not as rugged. 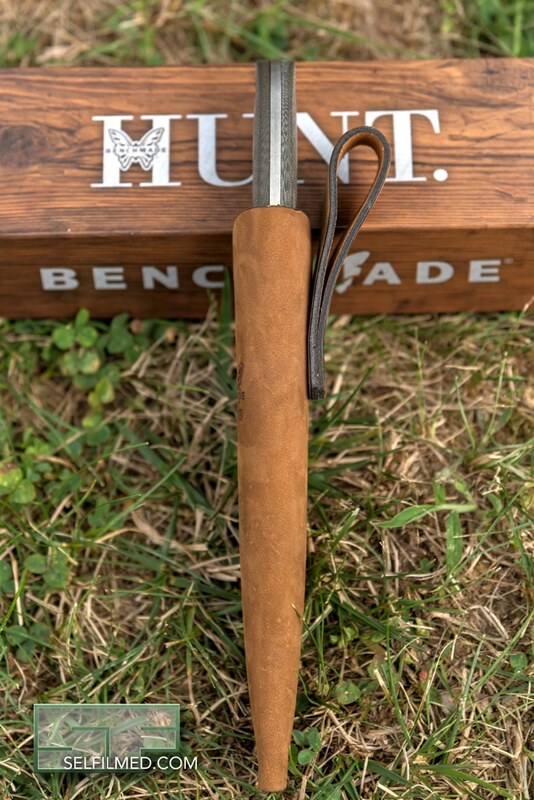 I should also mention that the Micarta handles on the 15400 Pardue Hunter can easily be removed if you are looking to customize the look and/or feel of your knife. Another great feature of the 15400 Pardue Hunter is the exposed gimping along the back edge of the knife which aides in providing traction in your grip. The 15400 Pardue Hunter is made in the USA and comes standard with a stitched brown leather sheath. I truly believe the 15400 Pardue Hunter knife will not only last you a lifetime, but will also perform flawlessly for you in the field this fall. 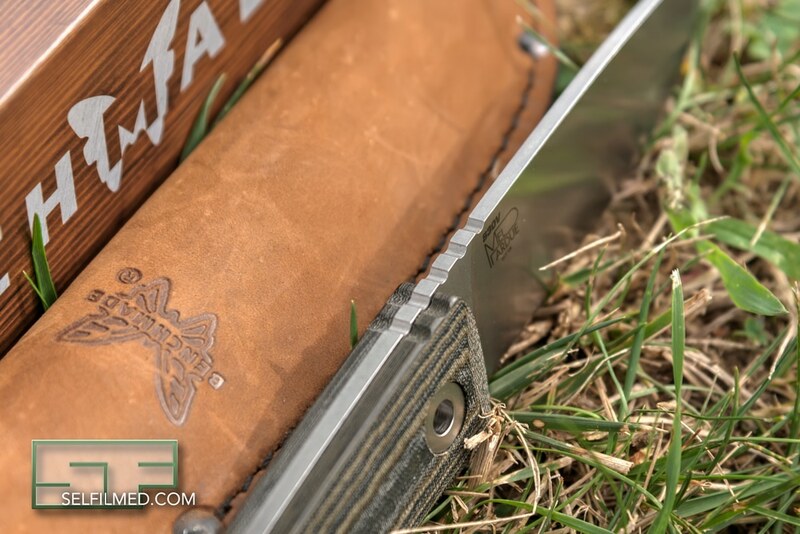 It is an extremely functional knife that can handle anything put in its way, and is an excellent addition to the already popular and ever-growing HUNT lineup of knives offered by Benchmade. 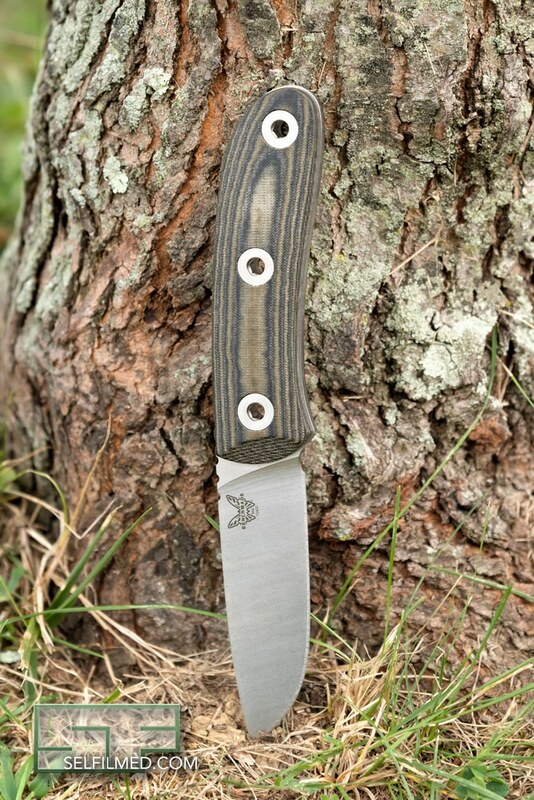 The 15400 Pardue Hunter retails for $225, and can be ordered directly from Benchmade’s website HERE.